When renting one of our many yachts expect to see Miami’s dazzling coastal sites, such as the gorgeous downtown Miami skyline, port of Miami, Brickell key, fisher island. the Flagler monument and Star and Hibiscus island and marvel at the vibrant architecture of the celebrity filled islands of Miami Beach famously known as millionaires row. You can cruise further southward towards Rickenbacker causeway into Biscayne Bay where you will often see dolphins playing. Anchor at Nixon sandbar to swim, relax and let the good times roll with many other boats partying on the water. Depart from Sea Isle marina, enjoy the beautiful scenery and mansions along the intra coastal. anchor by monument island where you can swim or jet ski to the island. Monument Island is infamous, uninhabited island, the monument is a memento honoring Miami pioneer Henry M. Flagler. Keep in mind, we are capable of customizing an itinerary for you. Cruise north through the intracoastal waterway making your way towards Fort Lauderdale. 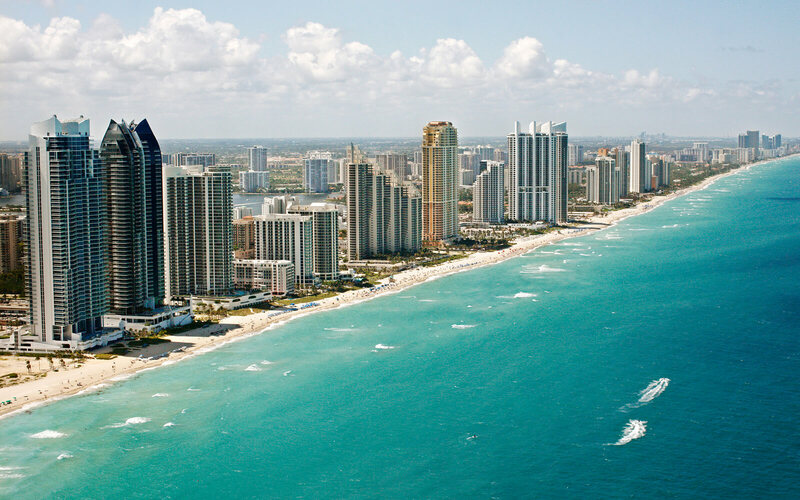 This scenic route will showcase the gorgeous homes and historic neighborhoods including Sunny isles, Hallandale and Hollywood Beach. There are many famous waterside restaurants along this route to stop and have lunch. After cruise back south and anchor at Haulover sandbar where you can swim, and take advantage of all the water toys on board, jet ski or relax and sun bathe. Charter will begin departing from Haulover marina and cruise North along the intercoastal waterways towards Fort Lauderdale. Along this route, marvel at the beautiful mansions and resorts along the way. After a gorgeous ride you can head back south and anchor at the famous Haulover sandbar. This is the perfect place to take a swim, use water toys, jet ski or relax take in some sun. There are always many other boats anchored here and is notorious for on the water party vibes. If you prefer a more privacy and want to avid the crowd we can anchor at beautiful Williams island lake instead. Of you can continue cruising north to The 17th street causeway and lunch at the famous Bahia Mar. The waters are much more shallow in the Fort Lauderdale area so this is not the ideal spot for the use of water toys but is perfect for sightseeing. If you are interested in swimming and using water toys Haulover Sandbar would be the best option. If the weather is nice and ocean tides are favorable you can cruise back down south on the ocean, enjoying the views of the coastline. We depart when there is still a lot of sunlight so you are able to distinguish the sights and marvel as the sky changes colors as the sun begins to set. Experiencing the "magic hour" from the water is truly a breath taking experience. The setting sun gives way to the twinkling lights of the city skyline as you cruise the Miami River. Considering this is a romantic back drop we include a bottle of champagne upon request. A gorgeous sunset cruise is the perfect way to end the day here in Miami. Cruise along the Miami Skyline and enjoy the beautiful sunset on Biscayne Bay or Miami’s South Beach. Take in the picturesque views with friends or loved ones accompanied with small bites and cocktails if you desire or a dinner with one of our amazing private chefs could also be organized for a luxurious, romantic experience.